We now offer express servicing. Normal scheduled servicing, in the quality you expect, in an express time frame. Two Volkswagen Qualified Technicians will complete the full scheduled service on your vehicle and return it to you in no more than 90 minutes (including a wash & vacuum), or 60 minutes if you are in a rush (excludes wash & vacuum). 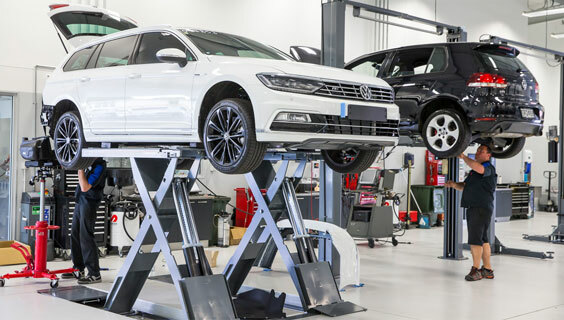 The usual high quality standards apply as for any other work performed by our Volkswagen Service team along with the added peace of mind of 2 years guarantee on parts and workmanship. Express Services can be booked for 15,000, 30,000 and 45,000 kilometre interval services. Have a bite to eat while you wait. 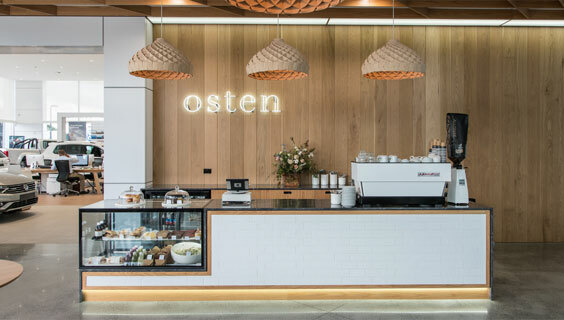 Relax in-store at Osten Cafe. **Express Service bookings essential due to limited appointments. **Cafe selection for up to 2 people to a maximum value of $40.00, excludes alcohol. *** For additional items such as tyre replacements or larger repairs additional time may be required, please mention this at the time of booking.